It's definitely back to school season! My boys are back in school, and it seems like everyone else has sent their kids back too, or are getting ready to in the next few days. I like to treat our boys' teachers throughout the school year with little gifts to show our family's appreciation for all the hard work they do, and this year is no exception. *Side note: Please excuse the grainy iPhone pics, I had to snap these quickly on our way out the door to sneak peek night at school to meet the teachers! I keep the packaging simple, printing a little card and tying the package up with colorful bakers twine. 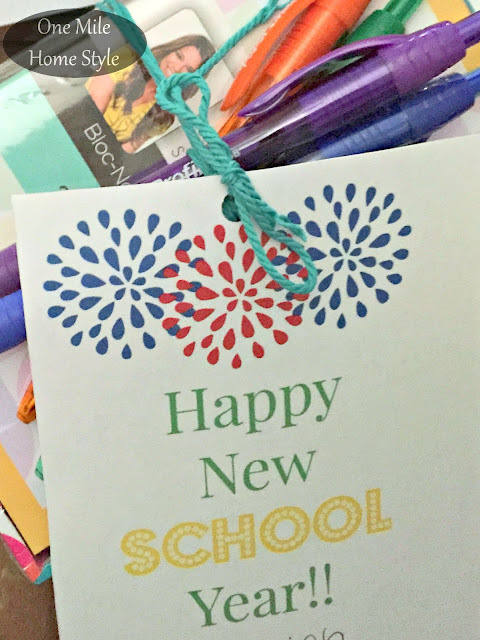 (Get your Happy New School Year printable here.) This would be just as easy putting everything in a small basket or tin and sticking the signed note inside. 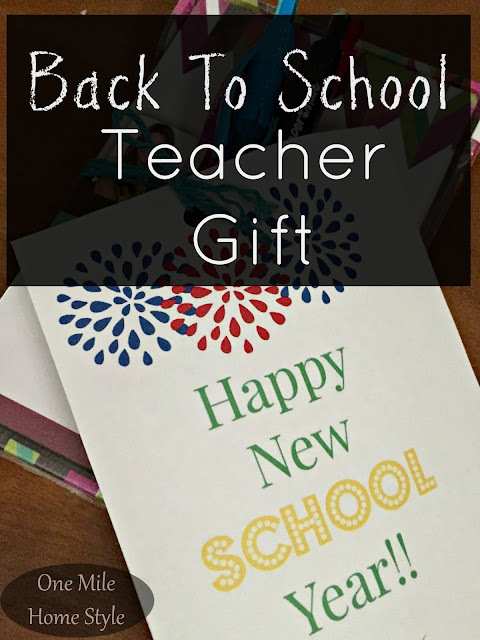 Do you treat your kid's teachers during the school year? What are your favorite gifts to give? 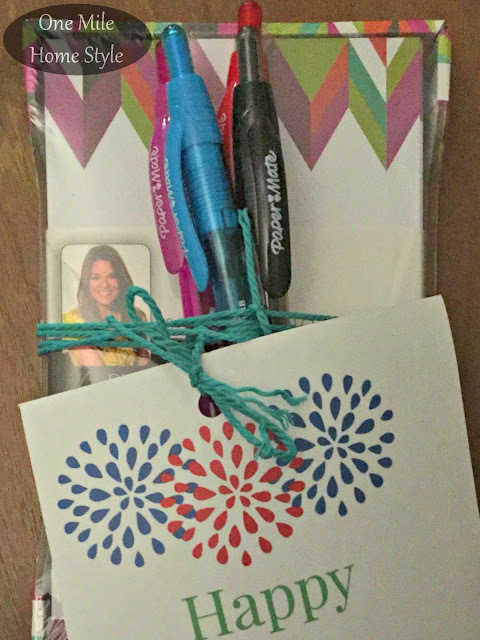 Don't forget to grab your FREE printable! !